Texan Girl Talks: Happy 100th post and 4 things today. I can't believe I have 100 posts of sheer randomness. You're welcome. No, but really I just am excited that I had this many things to talk about. Let me ramble some more into your ears. 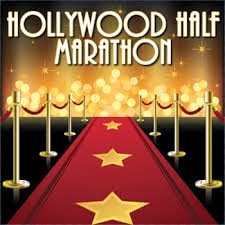 Y'all I'm running a 10K this weekend, Hollywood's Run with the Stars. I'm so excited. Um. There is totally a blurb on my race details stating, "celebrity etiquette". PUMP THE BRAKES. CELEBRITY ETIQUETTE? Like there will be celebs doing this half-marathon/10K with us? Awesome. Apparently this blurb says to not disturb them and have good taste when approaching them. I think honestly I'd get too nervous to ask for a pic or anything.. I'll probably just look like the creepy girl in the shadows. I'm ok with that. However, I'm secretly hoping to see Will Farrell, apparently he is a runner and likes to run in these. One day I'll have the courage to do a half marathon. One day. Sometimes Buzzfeed is stupid, but this is spot on. I laughed wayyyy to hard when I saw this. It's just so accurate. Um, I would would like some "Don't come near me Rocky Road with little to no rage", please? Seriously though, if they had this ice cream in the store, how could I not buy it? My moods are up and down and completely ridiculous in the reg. 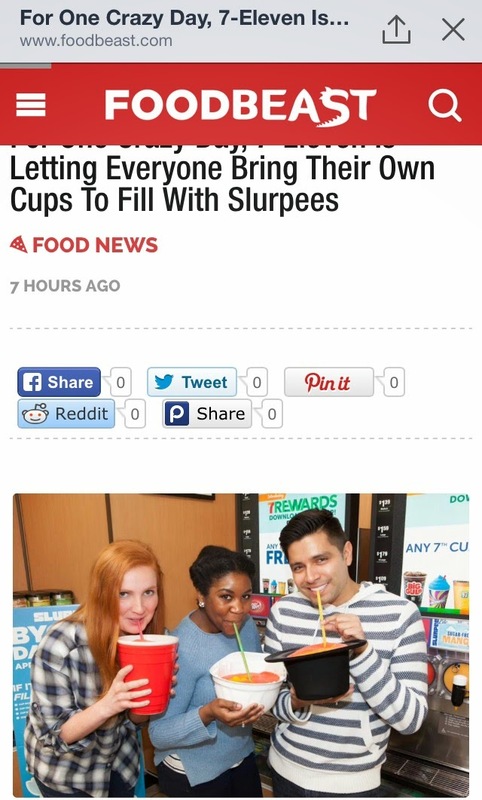 7-eleven does it again. If you don't have one of these in your town, Sorry College Station, TX, you'll be missing out on BRING YOUR OWN CUP TO FILL WITH SLURPEE day. Y'all it can be ANY CUP for $1.39 on Saturday, April 11, 2015 from 11a-7p, all locations should be participating. Will I most likely get sick from copious amounts of Slurpee? Yep. Will I drink the entire thing, NO, but I can bring a bowl and drink this out of a bowl, if I wanted. I will need lots of carbs after my race.. I'm just justifying this to myself so I can do it. It's official: My best friend is COMING TO LA TO VISIT ME!!!!!! I can't tell you how happy this makes me. Since coming to California, I haven't really made any friends, because i've been so preoccupied with finding a job (a feat in itself). I feel so far away from everyone and everything I used to know, and sometimes it gets really lonely. Yes, I still have Matt, but he's been so preoccupied with work, it's been tough to actually hang out without having to run a million errands. She's coming for a whole week! 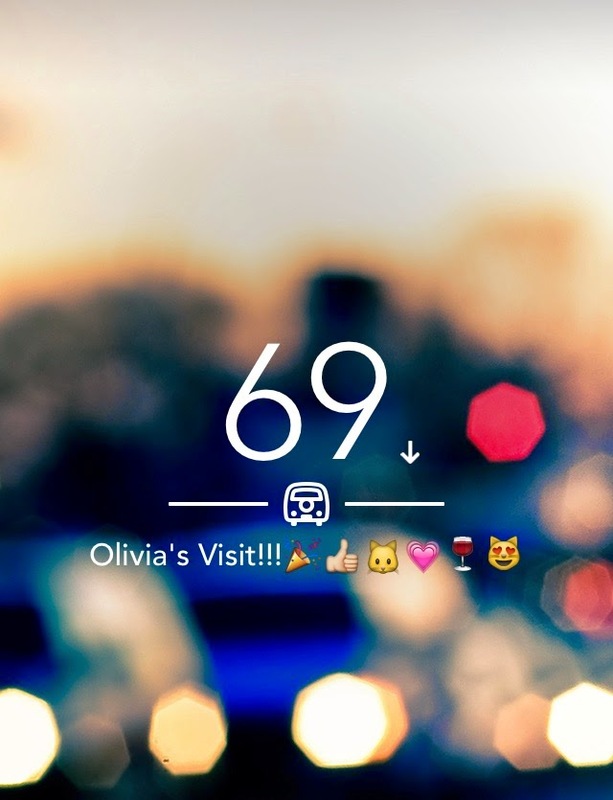 Now I have a reason to have a countdown again! Happy Hump day, kids. You're almost to the weekend!